Dealing with CBRN hazards in a military or civil scenario is of enormous government and public interest. One has only to consider that both the Iraq and Afghan Wars were conducted on the back of concerns about the proliferation of some of the most lethal and injurious substances known to mankind. The concern was manifestation of CBRN weapons or their improvised use against the UK's Armed Forces, civilian populations and critical national infrastructure. Countering such threats now features prominently in both the United States’ and United Kingdom’s National Security Strategies. Within the defence domain, the initial deployment into Afghanistan in late 2001 and Iraq in 2003 were to address CBRN security issues at source, before they were allowed to mature and present a more coherent threat to Western security interests; just as the Ebola crisis of 2014 saw the US, France and the UK deploy troops into Liberia, Guinea and Sierra Leone to combat the deadly disease at source, while global rolling news informed a concerned public. Engagement in the Second Gulf War and in Afghanistan took its toll as the doctrine that saw successful campaigning in the South Atlantic, the First Gulf War and the war-fighting phase of the Second Gulf War, lost its assured footing. Instead, non-linear operations saw our forces deployed into a 360-degree operating environment of political, cultural and ideological complexity where the extent of measuring success or failure became increasingly challenging. There were to be no similar deployments to stabilise security in Syria and Northern Iraq, amidst wholesale destruction and human suffering, including the use of chemical weapons against civilians. Meanwhile, Russia’s annexation of Crimea and proxy operations in Eastern Ukraine resulted in a decided chill in NATO–Russia relations, amidst concerns for the security of NATO’s borders; particularly in the Baltic region. On 7th November 2018, NATO concluded Exercise Trident Juncture, a NATO Response Force deployment with more than 50,000 troops from 31 countries including NATO partners Sweden and Finland, the scenario being an Article 5 breach of Norway’s sovereignty by a fictitious state. Crucially, the exercise was about exercising deterrence and included a counter-CBRN scenario. Earlier this year, the use of a Novichok agent in Salisbury as a weapon of assassination on 4th March 2018, and subsequent death of a United Kingdom citizen, became rolling global news, while 27 countries expelled 151 Russian diplomats in the immediate aftermath of the initial incident. That unprecedented diplomatic action says a lot about the concerns relating to the release of CBRN material and the bolstering of UK national resilience on both the defence and security fronts. On 15 March 2018, the Secretary of State for Defence Gavin Williamson announced a £48 million investment in a new Chemical Weapons Defence Centre at Porton Down, while the Home Office Minister Ben Wallace warned at the National Security Summit in October 2018 that a chemical attack on our streets was getting closer and that there is now a major drive to “revolutionise the response to a CBRN emergency”. Against this background, the UK Police are undergoing a substantial re-equipment programme. It is against the background of CBRN concerns overseas, reinforced by recent incidents at home, that the Ministry of Defence have once again waved the wand of organisational change over counter-CBRN capability, this time more quietly than the fanfare that saw the establishment of a Joint CBRN Regiment arising from the 1998 Strategic Defence Review. Following the 2010 Security and Defence Review, the Army divested its specialist counter-CBRN role in support of deployed forces to 20 Wing, Royal Air Force Regiment at RAF Honington. The unpredictability of the situation in the Levant and the Middle East, along with the decided chill in NATO–Russia relations have provided greater focus on delivering counter-CBRN coherence and deterrence, as indeed it has to the delivery of air power in support of Royal Air Force missions. Reorganisation comes with benefits for both frontline commands and defence as a whole. Thus, in late 2014, the Counter-CBRN Area Surveillance and Reconnaissance role was invested in Falcon Squadron, The Royal Tank Regiment, but subordinated to 22 Engineer Regiment. 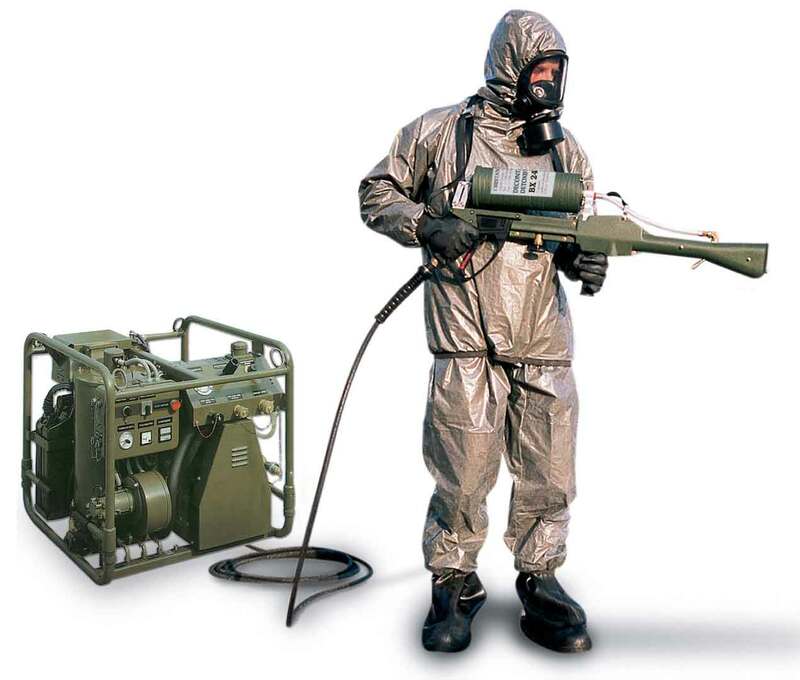 In other countries, it is not uncommon to find counter-CBRN embedded within engineer units given their manoeuvre support function. Although there has been no ministerial announcement, the next few years will see a gradual transition of the specialist counter-CBRN role held within the Royal Air Force to the Army. This will see the re-emergence of the specialist counter-CBRN capability found within the former Joint CBRN Regiment, but this time within the Royal Engineers, which will also retain niche response capabilities assigned to homeland security. It is expected that the new Counter-CBRN Regiment will comprise a Regimental Headquarters and Support Squadron, two Task Squadrons and Falcon Squadron in their current role of delivering area surveillance and survey. The Task Squadrons are likely to comprise highly deployable light role teams, cutting-edge Biological Surveillance and Collector Systems and a Sampling and Identification of Biological, Chemical and Radiological Agents capability. The regiment will also have embedded hazard management in the form of multipurpose decontamination assets. There will be significant benefits in having a centralised specialist Counter-CBRN organisation, not least from a training, resourcing, career and skills progression perspective within an engineer formation that already delivers Explosive Ordnance Disposal and niche Counter- CBRNe capabilities in support of Joint Forces deployed and homeland security. 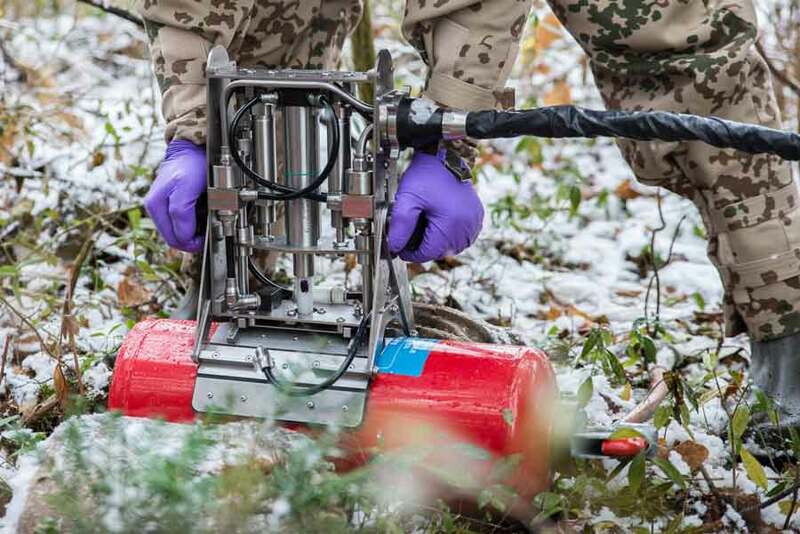 In certain scenarios when unexploded ordnance and hazardous toxic or CBRN material may be present, the operational benefits of the reorganisation will also be readily apparent. Completion of the organisational change is anticipated by the end of 2022. The UK MoD’s Defence Industrial Strategy has never been more important. Industry continues to deliver current equipment solutions and their in-service support, while the development of innovative solutions for the future is a crucially important reciprocal process. It relies on a moral component that engenders trust, an understanding of the future operating environment, ways to improve operational performance and to keep people safe. Multifunctionality is a cost-effective way to cover a range of scenarios when the future manifestation of CBRNe remains uncertain and our counter-CBRN doctrine remains largely untested. Financial rigour and the balancing of risk will always be key tenets in the delivery of value and operational performance against sporadic CBRN incidents. However, given the chill in NATO–Russia relations, it is equally important to strike the correct deterrence posture. Perceived weakness in capability reduces assurance, narrows a commander’s options and can be exploited by an adversary. The deterrence value of being well organised, well prepared and looking the part cannot be overestimated. The reorganisation of counter-CBRN within the United Kingdom’s Armed Forces will bring added resilience to defence, national security and to our international partners.